Visit here to submit work for ICMC 2010. Applicants may submit more than one work, however, a separate proposal must be made for each. Select “Analogous Interactions” for AI-related works. The deadline for submissions is December 31, 2009. * Topic Area: Select “Analogous Interactions”. * Type of work: Choose from “Performance”, “Installation”, or “Social Activity”. * An Artist Biography (250-word maximum). * An Artist Statement (250-word maximum). * A Project Description (350-word maximum). * Detailed Technical Specifications (100-word maximum). * Zipped folder containing three appropriate excerpts and/or other samples of the work to be presented (MP3-formatted audio files, MP4-formatted video files, and/or PDF schematics). Complexity theory is not new to art or to our culture. It migrated from computer science and biology to economics and art and, with the advent of the world wide web, it invaded our collective subconscious. Analogous seeks to support complexity-driven art and artists playing under this conceptual umbrella of “Interaction Art”. Progress occurs by metaphor and analogy: Their hope is (by bringing together people and projects irrespective of media and genre) to enable philosophical crosstalk. Analogous events and performances have been reviewed in The Wire, Make Magazine, Time Out New York, and The Village Voice. They received a Village Voice Best-of-NYC Award in October 2008 for “Best Arts Organization Centered Around Recycling”. 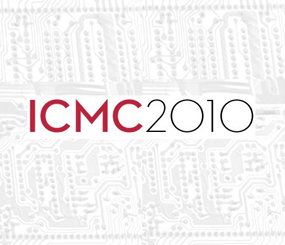 The International Computer Music Association is an international affiliation of individuals and institutions involved in the technical, creative, and performance aspects of computer music. The ICMA serves composers, engineers, researchers, and musicians who are interested in the integration of music and technology.